In this How-To we discuss how to leverage EasyCart to create special Business to Business or Wholesale stores using our shopping cart platform. Ever wonder how to setup a wholesale store? Or wish you could provide special pricing to some members or B2B partners? 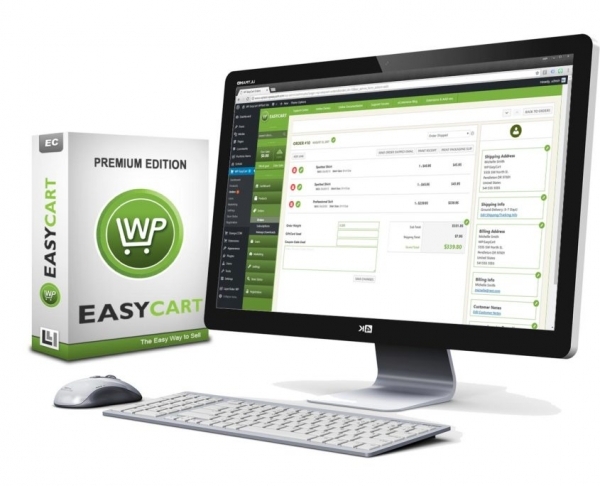 WP EasyCart provides mechanisms and an easy platform to adjust pricing to your users based on their accounts. 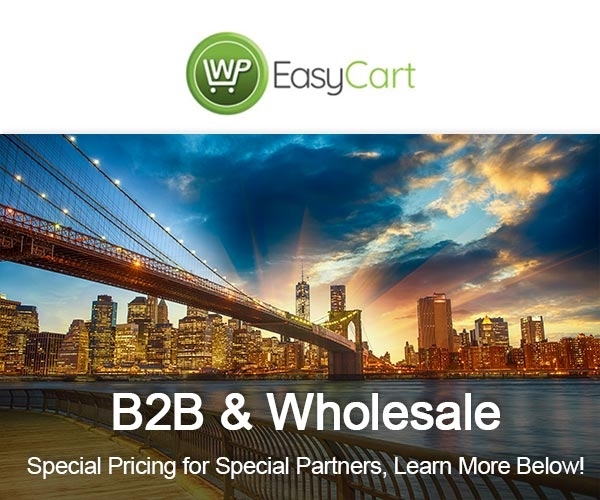 With EasyCart, setting up wholesale pricing on your products is easy and seamless. Offer different user groups different pricing just based on them logging in and shopping! B2B pricing and User Role pricing is only available in the Professional and Premium editions. Try a 14 day Professional trial or get your license today! 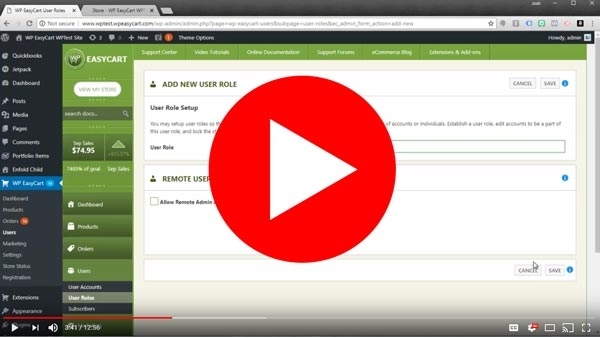 Watch our 12 minute YouTube video that shows you exactly how to set User Roles, attach accounts to these User Roles, and then establish pricing on products! Business to Business pricing is setup at the product level and allows you to easily set a price based on a group or user logged into your store. Create as many user groups as you like with special pricing. There are several sections you must setup user roles and accounts, so we highly recommend watching a short video tutorial on the subject to see it on a working wordpress store. Regular shoppers will see standard pricing on products. in fact, wholesale, B2B, and all users will shop the same store... the key is that you want to apply special prices to users who login AND are 'wholesaler' or have other pricing applied to their account. In this example, we go from $45.95 to $35.99 for this user logged in as a 'wholesaler'. Special pricing for different groups is what our B2B system is all about. Even create custom categories and organize products depending on your needs. B2B pricing is only available in our Professional & Premium Edition! 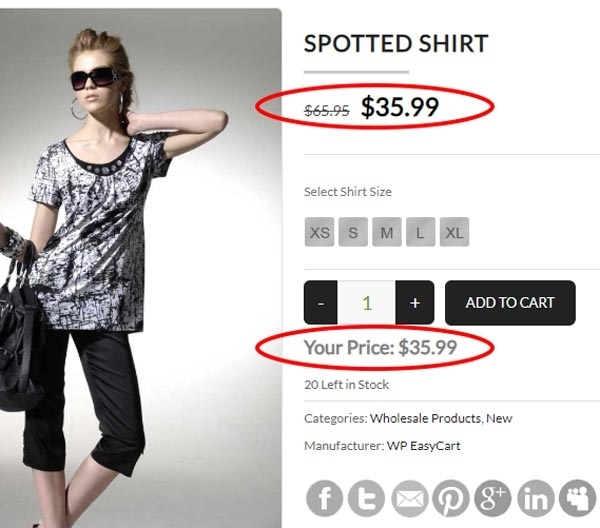 Learn more about the most popular eCommerce shopping cart for WordPress and its many features!